'Out of the Game' is the first single released off Rufus Wainwright's new album. The new album will have quite a different sound to his other records and is perhaps more pop than others. This track is sure to race up the charts and that in part will be thanks to the video clip above. 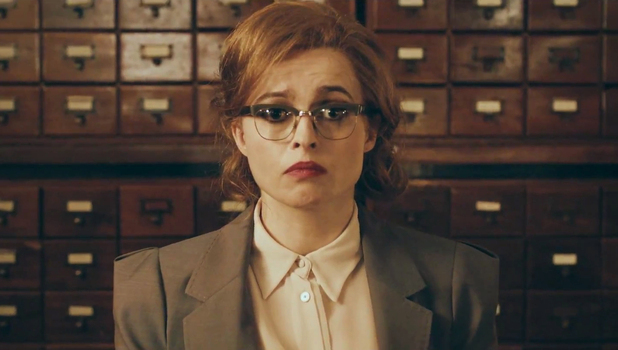 It features Helena Bonham Carter, starring as a straight laced librarian driven into a lustful frenzy by Wainwright's multiple personalities in the clip. She also lip syncs the lyrics throughout the video. I only found this song by accident, as it came up in my YouTube sidebar one day. I'm glad it did though!! I look forward to listening to some of Wainwright's older music and eagerly anticipate his new album.